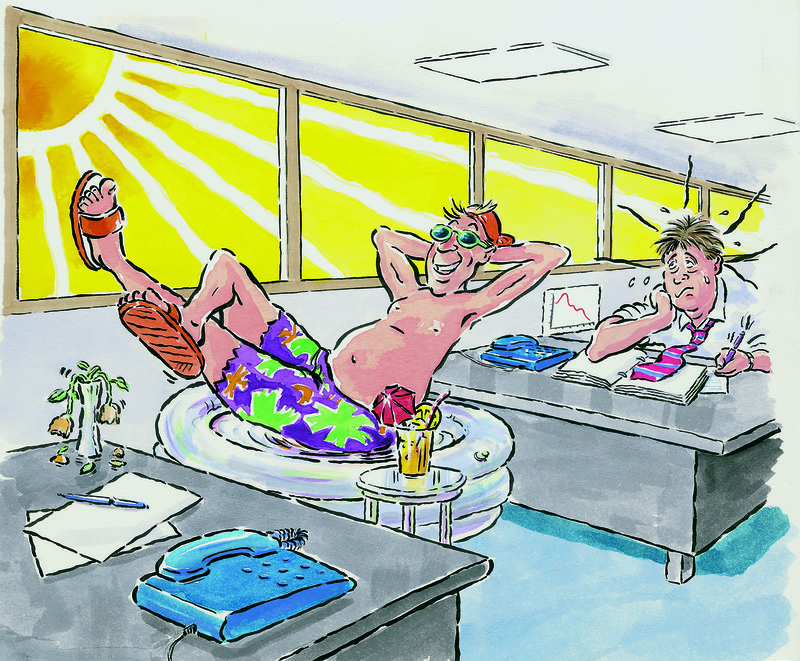 How do you cope with summer sun belting in through your office window? Well – You can turn up carrying a paddling pool under your arm, wearing your cozzy, flip-flops and shades. But if you really want to beat the heat – and work in comfort – Window film is the answer. There’s a mountain of paperwork – but the temperature is even higher. Working while you’re roasting – it’s definitely no fun in the sun. Everything is a real effort and you just want to lie down in the shade with a cold drink. Durable have 50 years of experience working with solar control window film. They can give your workplace a full glass audit and recommend the best solution for you. You were hoping for a tan – but you’re just browned off. Seriously. Window film is a simple, cost effective and efficient answer to your summertime blues. Admit it – your PC is completely useless with all that glorious sunshine streaming in! The strong summer sun belting through your windows can shine directly into your eyes (painful), and the glare on computer screens and renders them redundant (pointless). Durable are the oldest window film company in Europe. You could say we’re good at sticking around (pun intended). We can install solar control window film that reduces heat and glare by up top 80%! We can also cut out up to 99% of the sun’s harmful UV rays. So soft furnishings, materials and artwork are protected too. All these complex issues and yet sticky plastic film is the answer…? It sounds to good to be true. But don’t be fooled. Window film has years of R&D and science behind it. It’s an incredibly complex, hi-tech material. It’s also relatively quick and easy to install. A pretty amazing product really. Window film comes in all types – for solar control and safety, security, privacy… you’d be amazed at how versatile it is. Tinted, coloured, frosted, mirrored. And we’ve got the lot. Even better news. Window film is very economical – so it won’t cost the earth. AND because it manages the adverse effects of the sun so well there are often further savings on things like running air-conditioning. Don’t let the summer sun cause problems in your workplace. Get Durable for a Full Glass Audit – they’ll check and analyse your glass and give you a full report with recommendations on the best, most economical ways to keep your cool.